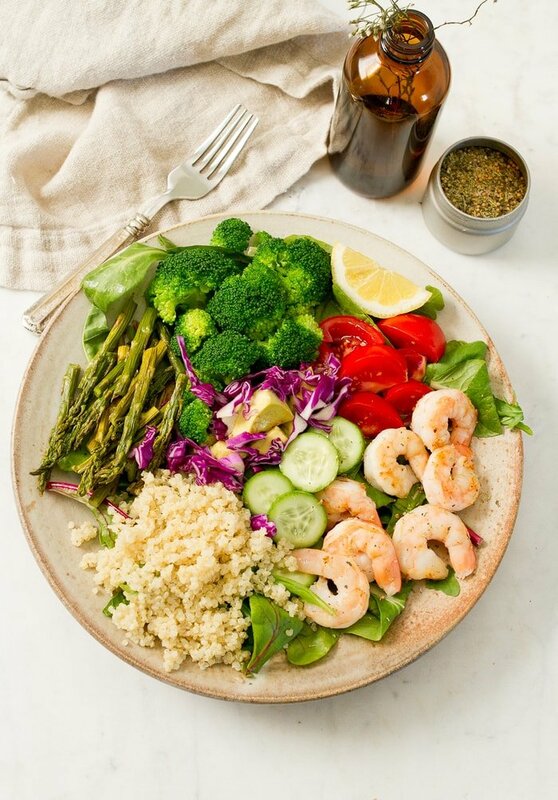 The best volume eating recipes for those times when you’re craving a big plate of food, but still want to stick with your health and fitness goals. Since I was little I’ve loved to eat. Literally my mom tells stories about how in order to feed me as a toddler my dad or sister had to hold my hands down while my mom shoveled food into my mouth as quickly as possible. If not, I would go crazy grabbing at the food or would start crying if the food wasn’t coming fast enough. So it’s no surprise that as an adult I still love to eat. I’m okay with it because “People who love to eat are always the best people.” 🙂 Luckily over the years I’ve found ways to satisfy my love for food and desire to eat large quantities while still remaining my health. My secret? Loading up on nutrient dense foods like veggies and fruit! 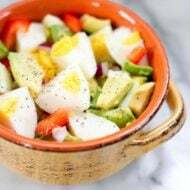 You’ll notice that every one of the volume eating recipes I’m featuring here is made with REAL FOOD and has at least one fruit or vegetable in it. Fruits and veggies FTW!! Just don’t forget the protein and healthy fat because they’re the key for making a meal satisfying. Plus, they will help to keep you feeling full! With that said, this post is for all my food-loving, volume-eating friends out there! Here are 15 recipes that you’ll love. 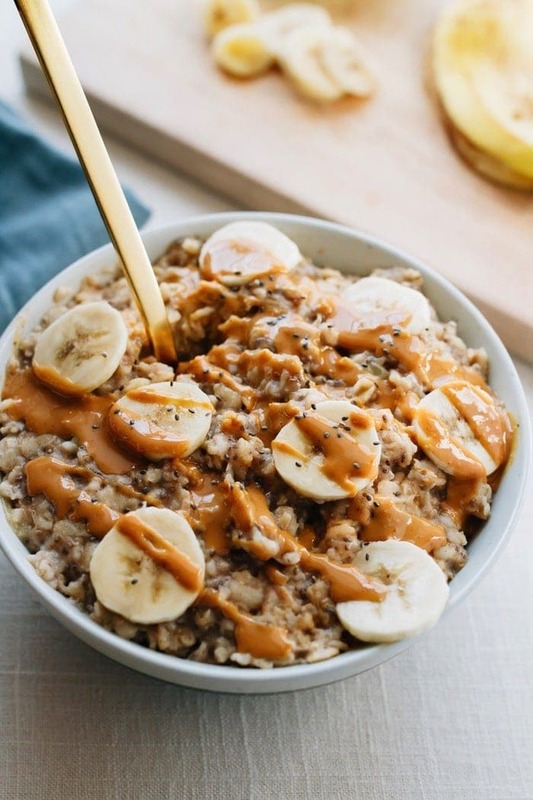 Peanut Butter Banana Chia Oatmeal — The ultimate healthy breakfast recipe, this peanut butter banana oatmeal is creamy, voluminous and will keep you full all morning long! Plus it only takes about 10 minutes to make. Each bowl has around 370 calories, 17 grams of fiber (woot! ), and 11 grams of protein. 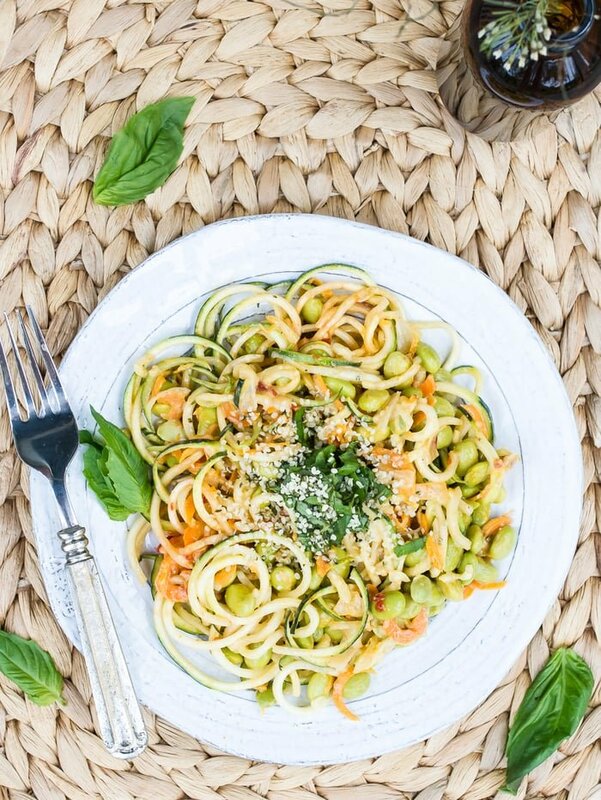 Zucchini Noodle Pad Thai — This Zucchini Noodle Pad Thai features spiralized zucchini noodles in a spicy peanut sauce. 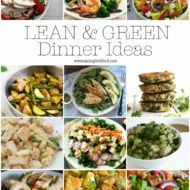 It’s delicious, low carb and much healthier than Thai takeout! 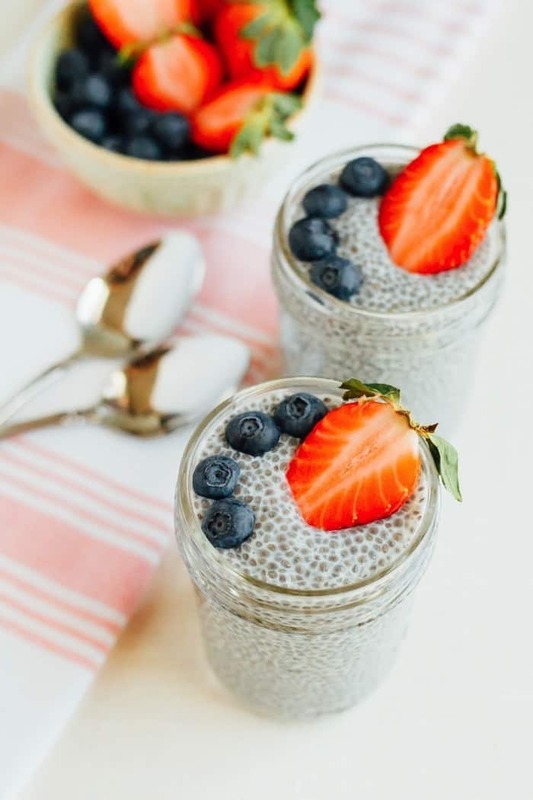 Chia Seed Pudding — Chia pudding is super filling and works for for breakfast, as a snack or dessert. Vegan, gluten-free, paleo and keto-friendly. 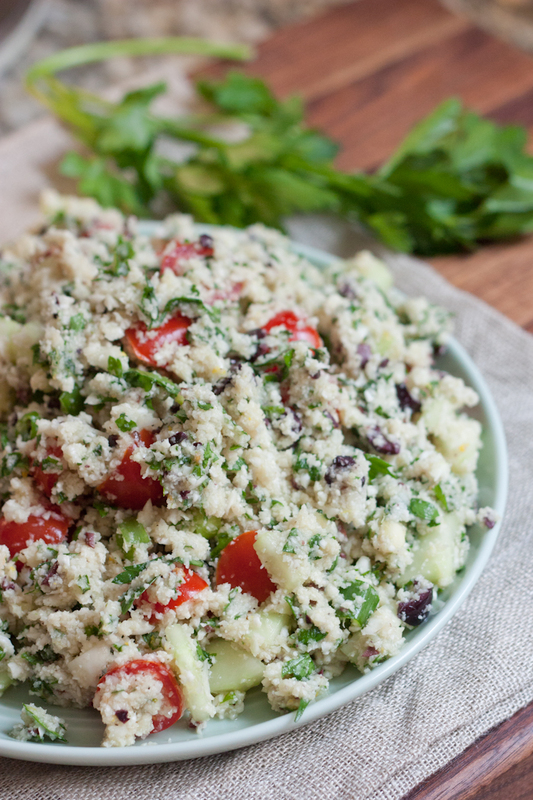 Cauliflower Tabbouleh — Low carb and gluten-free cauliflower tabbouleh. It’s fresh, flavorful and perfect for picnics and parties. 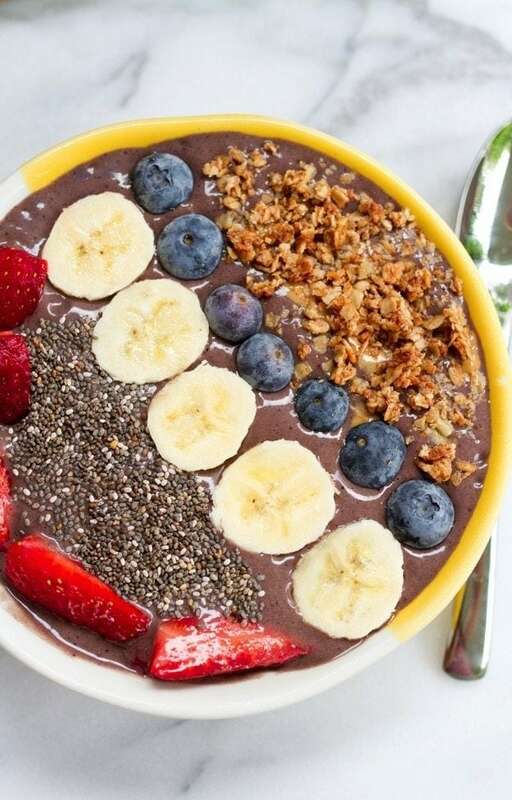 Smoothie Bowl — Smoothie bowls made with frozen fruit, veggies and bit of protein are perfect for volume eating. Eating the smoothie with a spoon rather than a straw makes it feel more like meal and it takes longer to eat. Healthy Cauliflower Popcorn/ Kettle Corn — Regular popcorn is actually pretty healthy on it’s own, especially if you air pop it and eat it plain. 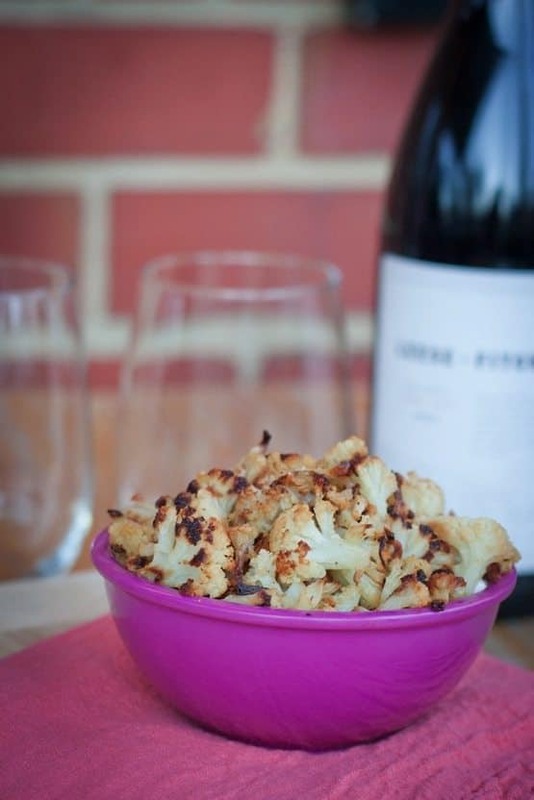 But I love this cauliflower version too! Meal-Sized Salads — It’s no secret that I love salads! I think they’re one of the best ways to load up on tons of veggies and fiber. With salads you can eat a huge plate of food and feel good about it! Baked Butternut Squash Fries — These fries are delicious and it’s a good thing they’re healthy because it’s so easy to eat the whole pan! I love these baked sweet potato fries too! 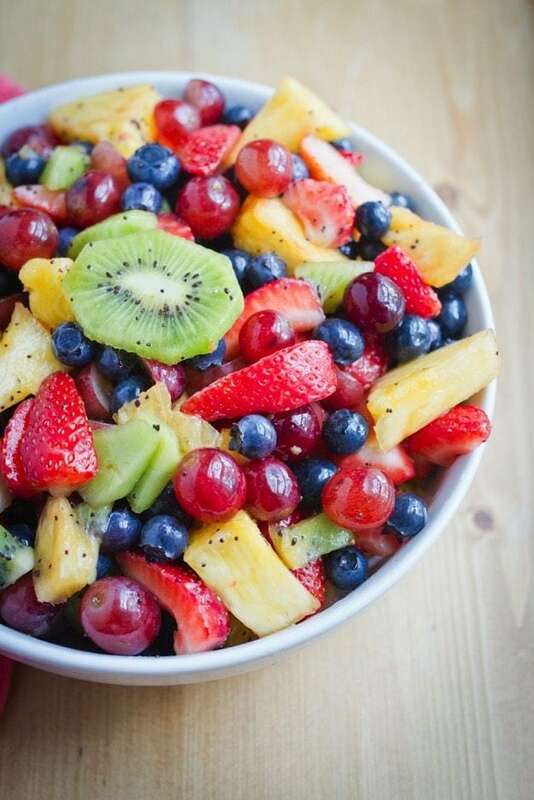 Mixed Berry Fruit Salad — Nutritious and easy to prepare, this colorful fruit salad combines ripe strawberries, blueberries, grapes, kiwi and pineapple chunks with a zesty lime and poppy seed dressing. 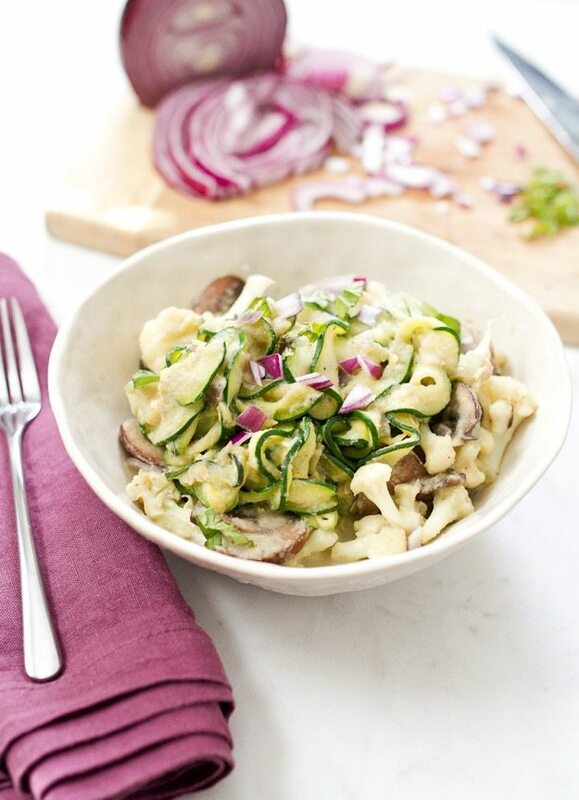 Zucchini Noodle Fettuccine with Cauliflower Alfredo — This healthy fettuccine alfredo recipe features a base of spiralized zucchini noodles with a creamy cauliflower alfredo sauce. It’s a quick and easy dinner idea that’s packed with veggies and much lighter than regular fettuccine alfredo. 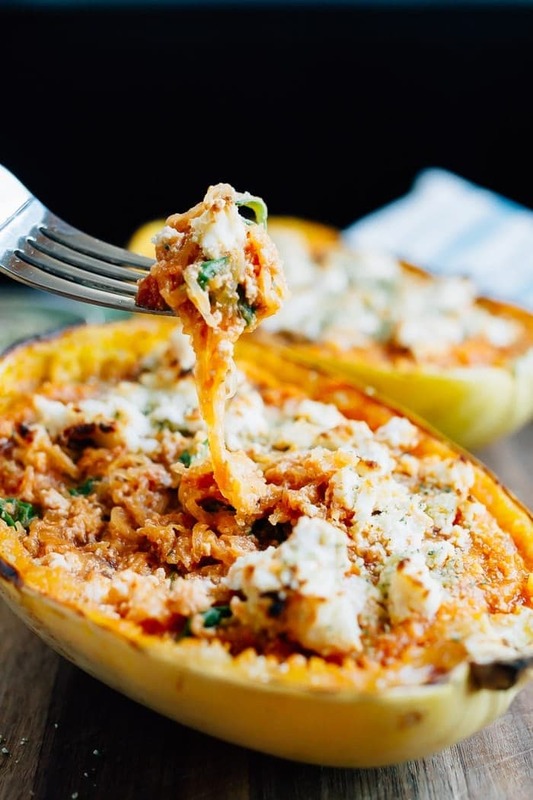 Stuffed Spaghetti Squash Lasagna Bowls — Turn spaghetti squash into a meatless meal with this recipe for stuffed spaghetti squash lasagna bowls. Made with vegan ricotta and hemp parmesan. 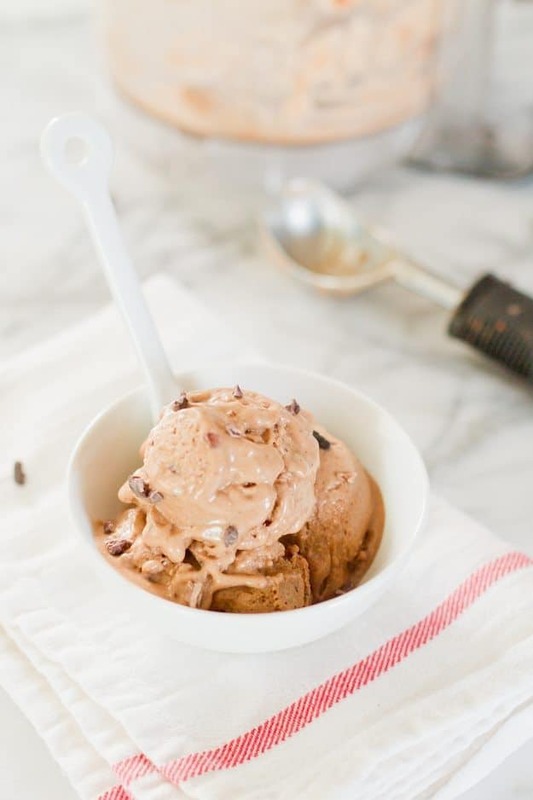 Healthy Chocolate Banana Ice Cream — Make HEALTHY Chocolate Banana Ice Cream with frozen bananas, cacao powder, chocolate almond milk and almond butter. It’s absolutely delicious, healthy, dairy-free and doesn’t require an ice cream maker! 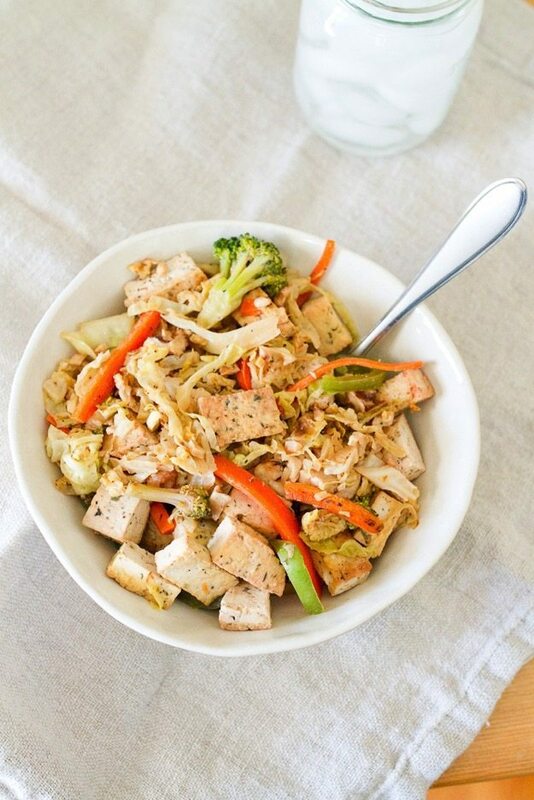 Tofu Veggie Noodle Bowl with Cabbage Noodles — I love love love cabbage so naturally this cabbage noodle bowl is a winner in my book. The sautéed cabbage gives the dish a caramelized sweet flavor that pairs perfectly with the Asian style sauce. 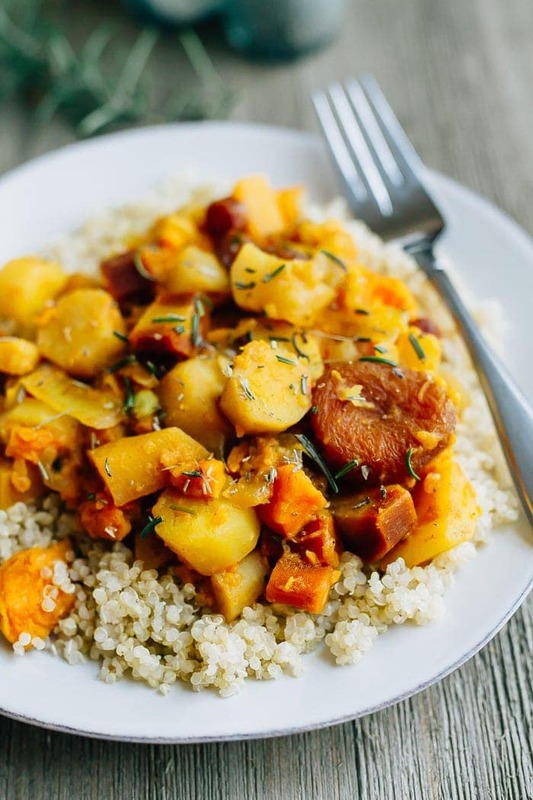 Root Vegetable Tagine with Apricots and Rosemary — A slow simmered root vegetable tagine with apricots and rosemary! Serve this vegetarian dish as a side or over rice or quinoa for a complete meal. Vegan and gluten-free. 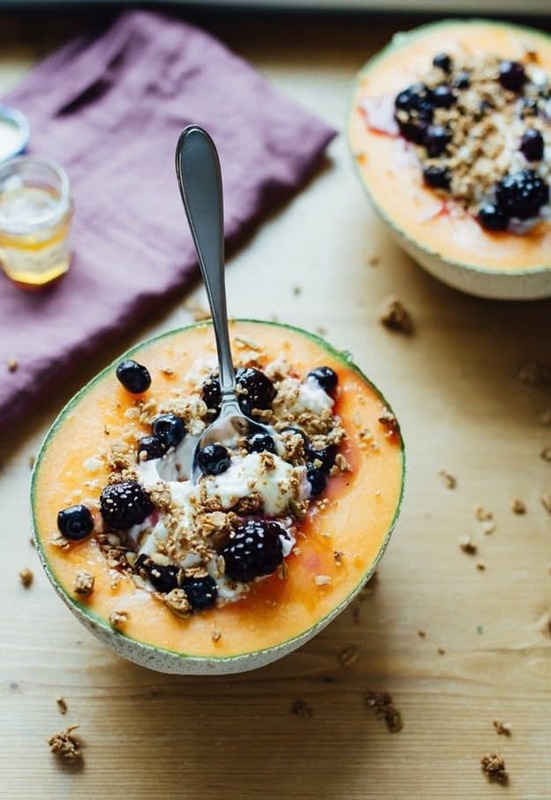 Cantaloupe Breakfast Bowls — Healthy cantaloupe breakfast bowls filled with yogurt, granola, berries and a drizzle of honey. They’re loaded with protein to keep you feeling full all morning! 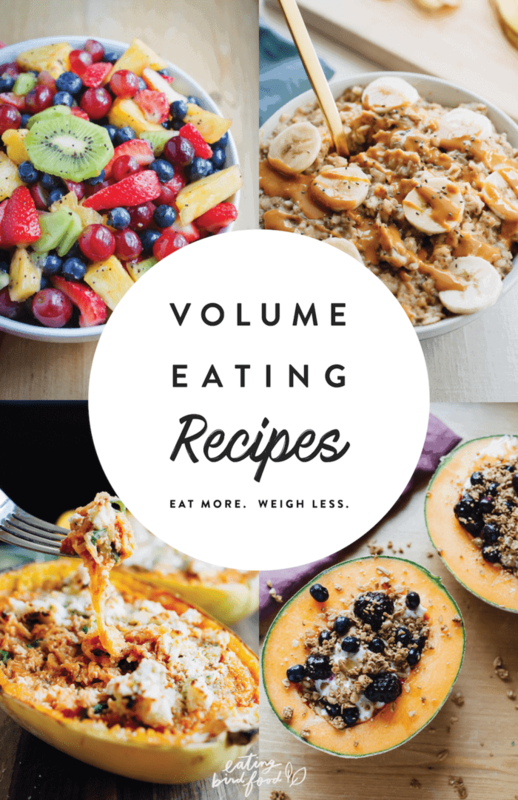 Are you a volume eater? If so, share one of your favorite recipes! Thank you! And yes, the healthy chocolate banana ice cream and pb banana chia oatmeal are two of my favorites!! Enjoy! This post is right up my alley! Can’t wait to try these recipes- thank you! I want to make every one of these recipes! Glad you liked this post, Nyssa. Hopefully you get a chance to try some of the recipes soon! So many fabulous ideas!!! That smoothie bowl and peanut butter oatmeal bowl are calling my NAMMMMMME!!!! Perfect post!! Matt and I love to eat, so volume is a key component. We love adding a bed of lightly wilted spinach even with our waffles because it adds color and a little more food to the plate. We love meal-sized salads, smoothie bowls, well, everything in this post. Great job! Thanks Kori. Yes, green veggies are such a great way to add volume and color!! Love all these healthy choices! Everything here looks so delicious! I made the Peanut Butter Chia Banana Oatmeal last weekend and it was delicious! I want it ALL! That spaghetti squash looks especially delicious!